I love short films; they never fail to make me laugh or smile. Do you like short films? Which ones have you enjoyed? Hey! My name is Allie and I have a lot of blogs, but my main blog is Spreading My Joy, my personal blog is Sincerely Allie, my blog designing blog is Allie's Blog Designs, and my joint blog is A Friend Loves at All Times. 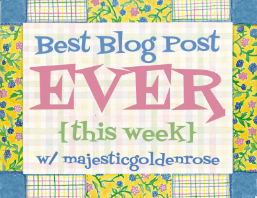 I post about almost everything on those blogs! But today I am going to post about fashion. So let's get to the post! I paired a green sweater dress, a jean jacket, light pink statement necklace, and brown boots for this outfit. I just love how the brown and green look together. I can't really get the necklace to sit right. Here is a picture of the necklace up close. You can't really tell the shape or color of the necklace but it is a light pink and there are little octagon shaped ridge-type things on each little gem/bead/whatever those are. Do you like this outfit? Would you wear it? Growing In Grace: Hakuna Matata? The other day I was thinking about the phrase "hakuna matata". Have you heard it recently, by any chance? At first, in my logic, I thought that it might be make an inspirational post of some sort... you know, with not worrying about things or putting our past behind us and living anew. One of the sources I was looking at even said that there are lots of similarities between the Lion King and The Bible I could tie in. And thats when I was starting to get a little suspicious about the philosophy I had started to search- after all, the Bible and The Lion King are two totally different things and you cant just bend the very Word of God to match your own ideas and "wants". It doesnt work like that.... agreed? So then I decided that (sorry to crush your childhood dreams) but while the "hahuna matata" philosophy seems attractive, its not very a very Christian-like way of life. The problem is that instead of replacing worries with faith in God, "Hakuna Matata" is about avoiding worry by avoiding responsibility. What loss! In the Lion King, as Simba lives with this "worry free" mentality, the entire kingdom that he is of is suffers! It seems nothing Christian-like: If there was a crisis somewhere, doesnt this mentality say to ignore it? To walk away and forget about the person and their issue? Yet doesnt the Bible preach "Freely you have received, freely give." in Matthew 10:8 and in James 2 to care for those that need it, that in showing love to them, our faith would be living instead of meaningless? In Part 1, I blogged about The Phoenician Alphabet method (here) of using code, but if you look at the image I provide in that post, you can see that its fairly easy to decode. Not so with this: A keyword cipher is almost impossible to easily decode. An let me explain with an example. ... You guessed it, you need a keyword-like password. Preferably about two-three words long- it will depend on how long the words are. In a message, this could easily be the salutation/greeting. Take out repeating letters and spaces. Finish the alphabet, skipping letters already used. Go back thru and write the other letters. Check that you have 26 letters. Now you can write create a chart/ key and translate! Thanks for coming to celebrate with my Linky, Blog-Hop, Linky Party and/or Link- Up. Link up any post that fits into the awesome and wholesome categories to this week’s linky.